Earlier this year, Steve Dibble donated a 2006 BMW F650GS to Overland Expo’s charity organization, ConserVentures, whose mission is to promote exploration and to conserve our natural and cultural heritage. 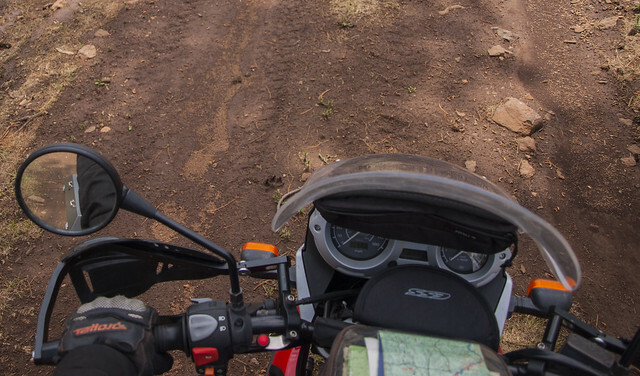 In an effort to support field work for the endangered Mexican gray wolf, the bike ended up in the hands of Craig Miller, the Southwest representative for Defenders of Wildlife and a lifelong motorcycle enthusiast. Craig has been a tireless advocate for wildlife conservation in the Southwest for over 30 years. [For more details, please see his bio here.]. Craig’s work takes him deep into Arizona and New Mexico backcountry on rugged forest roads. The Wolf Bike allows him to move more quickly and efficiently, covering more ground to engage people in wolf conservation. "It’s helped me maintain a more consistent presence in the field, and the rides between ranches keep me energized for the difficult visits." Part of the Wolf Bike project is to properly outfit the bike for such remote and rugged conditions. 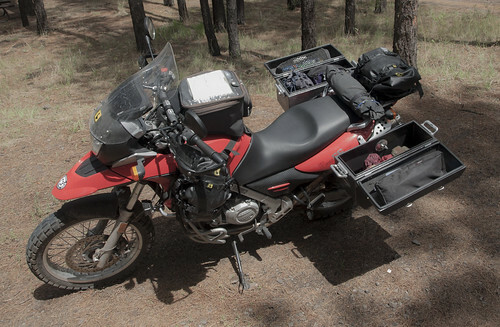 At Overland Expo WEST 2014, the Wolf bike received donations from Jesse Luggage (panniers), RawHyde Adventures (set of tires), Baja Design (lighting), Wolfman Luggage (dry bag), Kinder Rider (LS2 helmet), Woody's Wheel Works and Ironhorse BMW. In addition, Bob Allen of Adventure Pockets donated and installed three motoPOCKETs on the Wolf Bike project: The motoPOCKET Windshield (11 x 7 x 2 in. ), The motoPOCKET Side Case (14 x 6 x 2 in.) 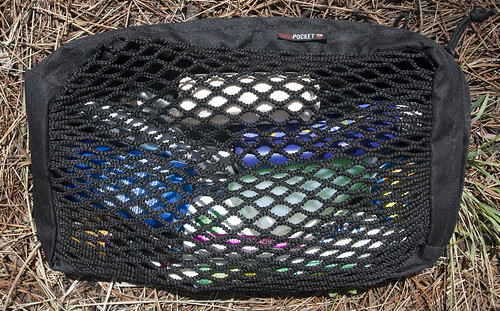 and The motoPOCKET Side Case with netting (14 x 6 x 2 in.). 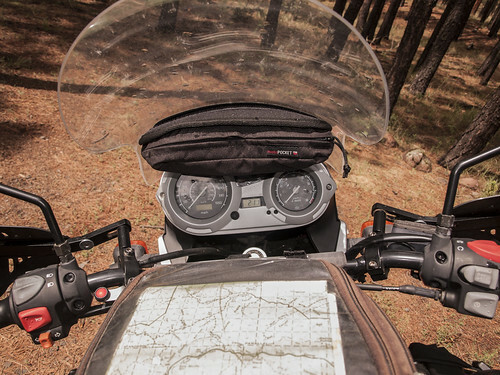 With convenience and durability in mind, MotoPOCKETs are a universal size and attach with heavy-duty Velcro to create an on-board storage solution. Even though the pockets stay secured with Velcro, they are easy to remove when unpacking at camp for the night. 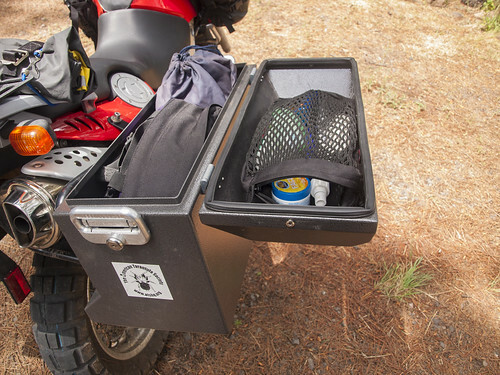 Craig uses them to store items such as camera batteries, SD cards, or other items that can be easily transferred to a backpack once at the trailhead, and for personal hygiene supplies for a quick freshen-up between miles. When storing heavier items, such a batteries or small tools, the Jesse retaining clips help keep the pocket and items in place. Luckily, there is a simple fix. Craig modified the windshield attachment by adding longer rubber top mounts, which increased the space between the windshield and the gauges by about 1-½ inches, then reattached the motoPOCKET mount lower on the windshield. This slightly reduced motoPOCKET volume, but solved the visibility issue. Thanks to the supporters of the Wolf Bike project: Adventure Pockets, Jesse Luggage, Baja Designs, RawHyde Adventures, Wolfman Luggage, Kinder Rider, Woody's Wheel Works, and Ironhorse BMW. Would you like to support the Wolf Bike project? You can donate one or more items on our wish-list. 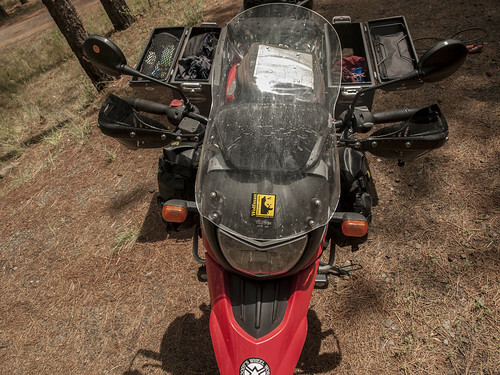 In return, we’ll feature your business in the Wolf Bike booth and at the Wolf Bike presentation at Overland Expo. Contact Overland Expo about opportunities. Older PostNeed gift ideas for the Overlander in your life?